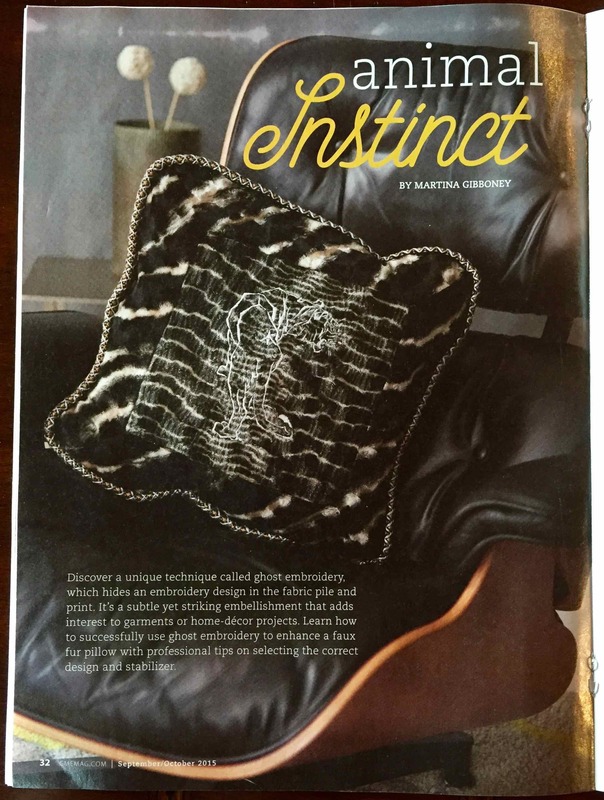 I’m excited to announce I have a new article, Animal Instinct, published in Creative Machine Embroidery, September/October 2015 issue. The six page article covers the steps to create an embroidery technique I created, called Ghost embroidery. I love March Madness, but not the same way that sports fans do. 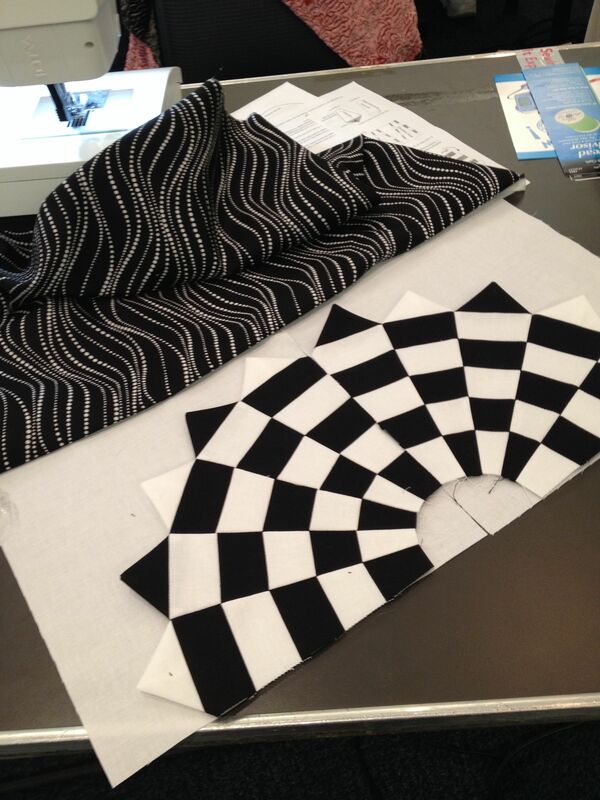 I have my own March Madness, every March I attend the Original Sewing and Quilt Expo in Atlanta. It is an expo just for sewing and quilting enthusiasts, where you can shop, take classes, watch fashion shows, view the beautiful quilt exhibit, and just absorb all the energy from all the friendly sewing people walking around. It is so much fun. If you don’t live near Altanta they also have the expo in many other states, just visit their website above to see their schedule. The Expo offers a variety of classes and workshops, some years I take classes and some years I don’t. This year I decided to take four workshops spread out over three days. From past experiences I have learned to take a maximum of two workshops in a day, otherwise my brain gets tired and then I can’t truly enjoy the third workshop. I like to only take workshops where we are actually sewing, these are called “hands on”, because I am taking the class to have fun, if I learn at least one thing than that is an extra bonus. You don’t have to bring your own sewing machine, the sponsors supply them, so I got to sew on a Pfaff, a Viking and a Brother, which was great because I sew on a Bernina at home.